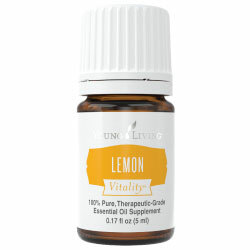 These are great to have diluted oils on hand. My daughter likes to roll her feet with bedtime oils. Roller ball with metal ball cap – this stainless steel ball cap feels cooling on the skin. Roller ball with plastic ball cap – a more cost effective option. Here are some cute roller bottles I like to give as gifts. These all have metal roller balls which makes for a smoother application. Spray bottles are handy too, especially for massaging oils on tired muscles! ½ oz spray bottle – this is the size I use most frequently. I always carry a lavender spray bottle to put on Ava’s and her friends boo-boos! 2oz spray – larger size, good for an outdoor spray (pictured on left). 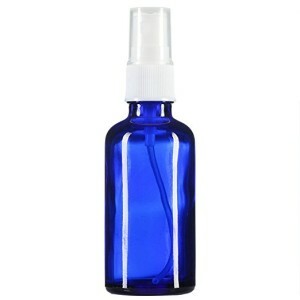 4 oz spray – nice size for bathroom lavender sprays. These make good gifts. 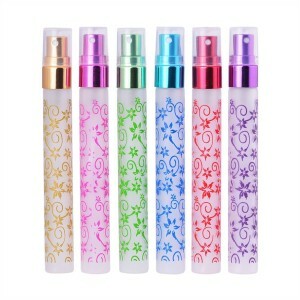 Here are fancy 10ml spray bottles that I like to give as gifts. Another simpler option are these tiny 3 ml sprayers. Add 3-8 drops of essential oil depending on the strength of fragrance you are looking for and then add carrier oil, leaving some room at the top so the liquid will not be displaced when you insert the spray piece. These make sweet gifts when friends need a little pick me up – abundance, forgiveness, acceptance, harmony anyone?! There are thick oils like vetiver and myrrh that take forever to come out! These little droppers give you minutes back into your day! These slot perfectly onto the 5 ml and 15 ml bottles. 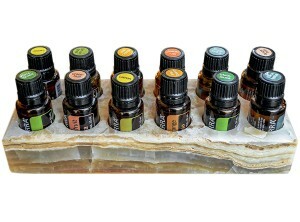 These are used to dilute the essential oils. If you don’t have any on hand you can always use olive oil. My go-to is jojoba oil. 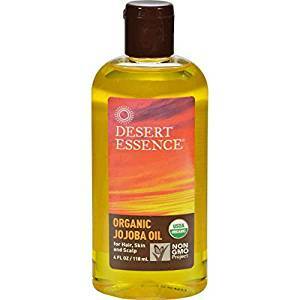 Jojoba oil (pronounced “ho-ho-ba”) is not an oil but a liquid wax extracted from the nut of an indigenous American shrub. The Jojoba nut has been used by the Native Americans for skin and hair care, and the whole nuts as survival food in emergencies. Jojoba oil is structurally similar to sebum so it is easily assimilated by the skin. It doesn’t feel greasy or clog the pores and it helps balance the production of sebum. Sebum is a waxy substance produced by our skin glands to lubricate and protect our skin. Every time we wash our face and hands, with just water or with soap, we are stripping our skin of sebum. This dehydrates our skin and makes it more susceptible to penetration by bacteria. Due to its waxy constitution, Jojoba oil seals in the moisture and create an effective barrier to external elements. Additionally, Jojoba oil possesses antibacterial properties and is a naturally occurring source of Vitamin A and E. It contains myristic acid which is a natural anti-inflammatory. It is helpful for wrinkles, eczema, psoriasis, chapped lip, hair growth, cracked feet and dry hands. In summary, Jojoba is moisturizing, protective (it creates a waxy barrier and possesses antibacterial properties), nourishing (it is a source of Vit A and E) and lastly, it is easily assimilated because it is so similar in structure to the sebum produced by our skin. Young Living’s V-6 contains fractionated coconut oil, sesame seed oil, grape seed oil, sweet almond oil, wheat germ oil, sunflower seed oil, and olive oil and you glean the benefits of having a variety of oils in every drop! 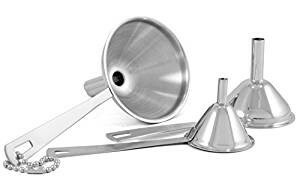 Funnels – This set of funnels with different tube sizes is very helpful to minimize spills when siphoning carrier oil into roller or spray bottles. 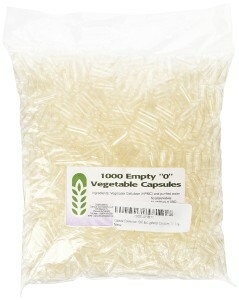 Capsules – I really like the ingredients in these vegan capsules from Mountain Rose Herbs. Size 0 is the smaller one and size 00 is almost twice a big. I typically get size 0 but if you want to add a lot of carrier oil, size 00, the larger one, may be best for you. Buying on amazon is easier and cheaper so I also get these capsules. Capsule holder – I use this 21 slot capsule holder to keep the capsules in place while I insert the essential oil and carrier oil. 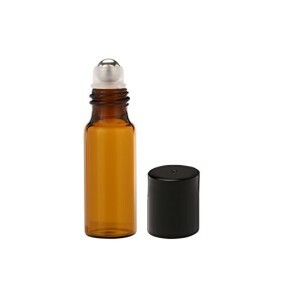 Dropper – I keep olive oil in a dropper bottle and use the dropper to add the carrier oil to the capsules. Storage jar – Because I make a lot of capsules, I get these small amber jars in bulk. But you can always use empty vitamin or spice bottles. And remember, always put a label on your jar so you know exactly what is in there! This is my favorite diffuser of all times and I have gone through more diffusers than I care to mention! 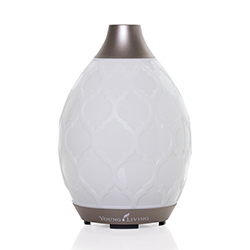 The Desert Mist diffuser by Young Living diffuses continuously for 5–6 hours on High mode, 8 hours on Low mode, and 10 hours on Intermittent mode. It uses ultrasonic frequency technology which is optimal for preserving the integrity of the oil, it generates waves at 1.7 million per second, breaking down essential oils and water into millions of microparticles, dispersing them into the air, and releasing the oils’ unique constituents. It has 11 individual light settings, including a candle-like flicker mode. And I love the way it looks! I have had this diffuser for years. 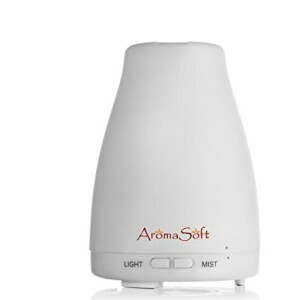 It also uses ultrasonic frequency technology although I would imagine the the Desert Mist diffuser by Young Living employs a more sophisticated technology! It is small, portable, and easy to use. I bring this with me when I travel. It has two modes of operation – intermittent mist which cycles on and off at 30 second intervals or continuous mist. The description on amazon doesn’t say how long it diffuses for and I have not timed it but it goes for hours and hours! It’s important to label the roller or spray bottle you have made. I label the name(s) of the oil as well as the dilution percentage on everything I make. I’ve gone through a lot of label makers so can’t make any recommendations! The one I have right now I got at my local Target store so I can return it if (with my track record, I should say when) it breaks! I carry oils in my handbag at all times. You can get lined cosmetic/make-up bags at Target, Marshalls, TJ Maxx etc. I like these small bags by vera bradley. I also have medium and large ones for when we travel. For best results, search amazon by cosmetic bags. You can include the size you want in your search – small, medium or large. 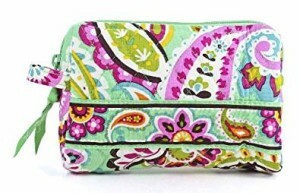 For example “vera bradley small cosmetic bag”. I love these stone rectangular and round essential oil bottle holders to neatly store my oils beside diffusers in my home. It makes the oils look more organized and it has great curb appeal. They come in different shades. I like them so much, I have five! And don’t ask me how many diffusers I have, it’s obscene! For storing oils at home, I have this wall rack but there are a bunch of options on amazon depending on your wall space and taste preferences. 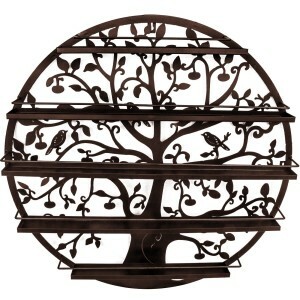 Search by “nail polish wall rack” for best results. By accessing or using this website, you agree to abide by the Disclaimer and Affiliate Disclosure. Content may not be replicated without permission.